Collin is the best dog ever! He is one of the favorites! Everything about him is wonderful. He has the best personality ever! He is full of so much love. He gets along with other dogs. He does well on a leash, and loves to go for walks. He is well behaved, loves to play, and is one of the sweetest dogs you will ever meet. We love him so much! 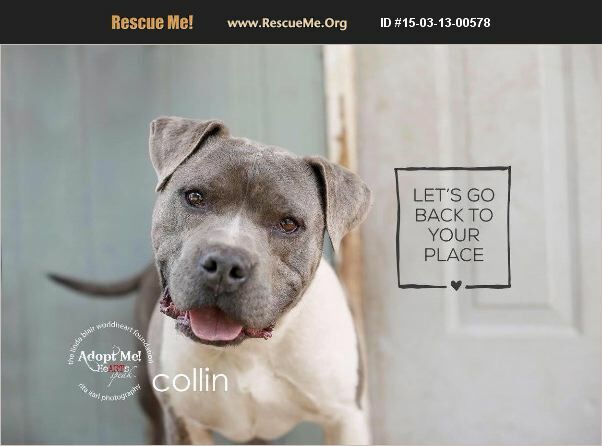 Collin is up to date on shots, microchipped, and neutered. Don't pass up the chance to adopt this amazing dog! We get many inquiries, so its best to fill out an application if you are actively ready to adopt. You will then have your application reviewed and receive a call to make an appointment. Please go to www.LindaBlairWorldheart.org and fill out an application. Listed under adoptable dogs! We stand behind our dogs 100% Southern Ca adoption only due to home checks.